Afghanistan is the main supplier of opioids and heroin to the US, according to UN sources, Afghanistan produces approximately 90 percent of the World’s supply of opium destined to the illegal heroin and opioid markets. It’s a multibillion dollar industry. A large share of the opium is exported in military planes out of Afghanistan. Following an opium eradication program implemented by the Afghan (Taliban) government in 2000 with the support of the United Nations, the production of opium had collapsed by more than 90% (less than 200 tons). It regained its historical levels following the entry of US and allied forces in October 2001. The production of opium has increased almost thirty fold since the invasion and occupation of Afghanistan by US-NATO forces in October 2001. The illegal opium trade out of Afghanistan is “protected’. The deaths from synthetic opioids and heroin documented in this article are directly related to the surge in opium production in Afghanistan in the course of the last fifteen years. The number of overdose deaths in the US from synthetic opioids surged 72 percent from 2014 to 2015, according to new data released Friday by the Centers for Disease Control and Prevention (CDC). The dramatic one-year rise follows a tripling of overdose deaths from opioids from 1999 to 2014, as tracked by the CDC. The news follows CDC research released earlier this month showing that heroin overdose deaths in the US have reached epidemic proportions, with opioid overdose deaths rising 5,000 since 2014, surpassing 30,000 for the first time in recent history. The reality of the opioid overdose crisis stands in stark contrast to President Obama’s rosy depiction of life in America as he prepares to leave office. At his last press conference of the year on Friday, he pointed to the low official unemployment rate, a modest increase in wages and, above all, a tripling of the stock market to claim that he leaves a legacy of economic “success.” He avoided any mention of the social crisis wracking the country, including declining life expectancy for large sections of the working class, rising suicides, and surging substance abuse and death from opioid overdoses. Obama’s words provide cold comfort to the tens of thousands of families losing loved ones to the opioid epidemic, even as funding for treatment programs is cut. Despite the CDC’s stress in its report on the “urgent need for a multifaceted, collaborative public health” response to the opioid epidemic, there is no coordinated government effort to stem the tide of opioid abuse and overdose deaths. According to the CDC’s latest report, a majority of US states reported significant increases in overdose deaths due to heroin and prescription painkiller abuse last year. In 2015 alone, drug overdoses killed 52,000 people, with nearly 66 percent of these deaths resulting from abuse of prescription or illegal opioids. The CDC data shows that two synthetic opioids, fentanyl and tramadol, are largely responsible for the nationwide increase in drug overdose deaths. 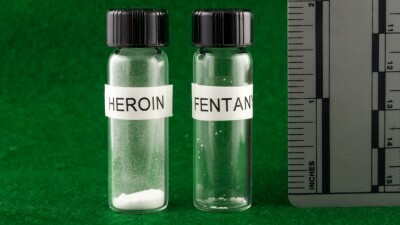 Fentanyl is a potent opioid pain medication estimated to be at least 50 to 100 times as strong as morphine. Overdoses from tramadol often involve other drugs, including alcohol. Last year, 9,580 died from overdoses of synthetic opioids other than methadone, while painkillers such as Oxycontin and Vicotin had a 4 percent increase, resulting in 17,536 overdose deaths. Over the last six years, deaths form heroin overdoses alone have quadrupled. For the first time ever, more people died from heroin overdoses last year, 12,989, than were killed by gun violence, 12,979. Males saw a staggering 90.9 percent increase in synthetic opioid deaths from 2014 to 2015, with younger men the hardest hit. Men ages 15-24 saw a 91.7 percent increase; ages 25-34, a 94.1 percent increase; ages 35-44, an 80.6 percent increase. Overdose deaths from synthetic opioids among women rose by 46.2 percent in 2015, with women ages 15-24 seeing the largest one-year rise in deaths–116.7 percent–of any age or gender group. The CDC’s data shows blacks of all ages (non-Hispanic) with the largest one-year increase, 95 percent; followed by whites (non-Hispanic), 75 percent; and Hispanics, 50 percent. Seven years into the so-called economic recovery, cities and towns across the country are gripped by an opioid and heroin epidemic that sees no signs of ebbing. Families seem helpless to deal with their members’ addictions, with their only apparent ally the drug naloxone (brand name Narcan), which reverses the effects of opioids within minutes. The drug is now widely available to the public in many states. The Northeast region saw the biggest hike in synthetic opioid overdose deaths, rising by 107 percent in 2015 over 2014 figures. Three Northeast states registered overdose death increases in excess of 100 percent in one year: New York (135.7 percent), Connecticut (125.9 percent), and Massachusetts (108.7 percent). New Hampshire followed close behind (94.4 percent), as did Maine (90.4 percent). In the face of the Massachusetts opioid crisis, Republican Governor Charlie Baker’s proposed budget for fiscal year 2017 slashes $1.929 million from the Bureau of Substance Abuse Services, affecting treatment programs across the state. In Connecticut, another hard-hit New England state, there are 400 people on the waiting list for the substance abuse treatment and detox programs paid for by the state’s judicial branch on any given day, according to the CT Mirror. To cut $4 million from the judicial branch’s budget, the state has cut substance abuse treatment beds in Hartford, Middletown, New Britain, New London, Sharon and Waterbury. The Midwest region saw the next biggest one-year increase, at 95 percent. Illinois saw a 120 percent increase, while Ohio had a 107.3 percent rise. Among the 28 states meeting inclusion criteria for state-level analysis by the CDC, the largest absolute change in deaths from synthetic opioids other than methadone occurred in Massachusetts, New Hampshire, Ohio, Rhode Island and West Virginia. States seeing the largest absolute rate changes for heroin deaths were Connecticut, Massachusetts, Ohio and West Virginia. Under conditions where budget cuts will only deepen under a Trump administration, little hope is offered to the tens of millions of people across the country facing a future of austerity and increased health problems, including addiction. While one in seven Americans will become addicted to drugs or alcohol in their lifetime, according to a recent report from the US surgeon general, only 10 percent of those affected will ever receive help in treating their dependency. Such is the true social legacy of Obama’s pro-corporate and militaristic policies, rooted in the defense of the capitalist profit system.